As much as the idea of a signature fragrance seems alluring, I find that the world of fragrance is too diverse and fascinating to limit myself to only a single olfactory idea. I eat different foods everyday, I change the music selection on my iPod, I read new books in hopes of learning and experiencing something new. So I do not see any reason why someone who loves fragrance needs to wear only one perfume for years on end. A perfume wardrobe, which is the subject of this series, is my idea of enjoying fragrance—a collection of perfumes that contain a variety of scents that are appropriate for different occasions and moods. When I started working on a perfume wardrobe guide, I decided to organize fragrances into several large groups that would give some idea of what is available in the perfume universe. Given the breadth of the subject, the series will be published in several installments. The fragrances illustrating each group were selected on the basis of their quality and availability: I wanted to come up with a list of well-made fragrances that are available either from department stores or via the sampling programs online (Luckyscent, Aedes, etc.) I also include a “must-know classic” in each group, avoiding, however, the classics that have been reformulated beyond recognition. By and large, the fragrances in this series are not necessarily the legendary classics (for those, I would like to refer you to my 100 Fragrances That Influenced Perfume History series.) Needless to say, such lists cannot include everything, and if you have your own favorites, please do not hesitate to share. The idea of this guide is to give an overview of fragrances available today grouped by their dominant accords. Similar to your clothing wardrobe, it takes time to create a collection that will suit your lifestyle and preferences. Building your own perfume wardrobe comes hand in hand with learning about perfume notes, smelling different fragrances and figuring out what one likes. For instance, if you enjoy rose fragrances, you might want to try as many different roses as you can find, but it would be even more interesting to explore the oriental fragrance family, where rose plays an important role. In the floral category, I try to show that despite the diverse world of floral scents, they are related to each other. Without aiming to present every single floral scent out there, I will indicate the major floral notes (in bold font) with which a fragrance lover should be familiar. The underlined floral notes are related to the major note, and they can be explored after one becomes familiar with the latter. Although in Western perfume tradition, floral notes are generally reserved for women, it is not the case in other cultures, where heady rose or jasmine scents are worn by men as well. A man who would like to smell of something other than citrus rinds and ozone might find many interesting options among floral notes like mimosa and orange blossom. In addition, jasmine and iris feature heavily in masculine fragrances, and I will highlight them alongside the traditional feminine perfumes. The honeyed warmth of rose notes lends itself to many interpretations. 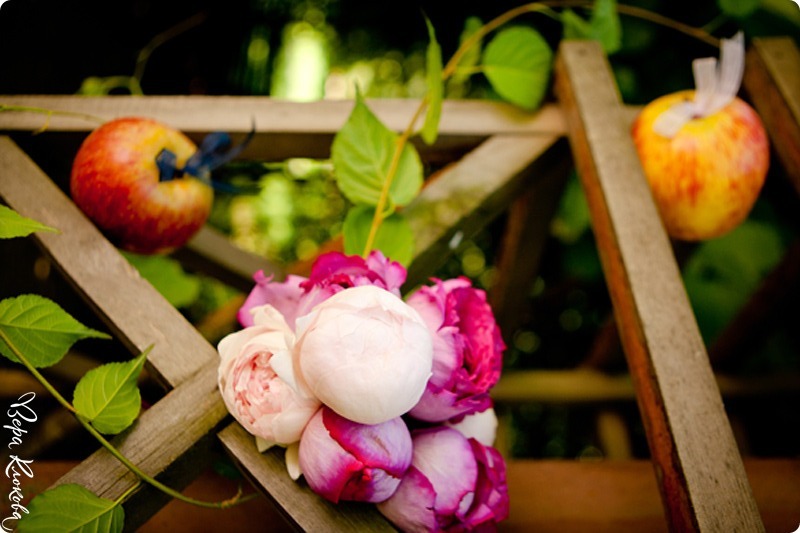 Whether light and effervescent or dark and luscious, rose has a distinctive honeyed, sweet character. The classical tea roses like Perfumer’s Workshop Tea Rose are citrusy and bright, while the crisp amber embellished Stella by Stella McCartney is a quintessential modern rose. Yves Saint Laurent In Love Again is a fruity rose, with tart grapefruit and passion fruit adding a zesty twist. Estée Lauder Dazzling Silver, Serge Lutens Sa Majesté la Rose and Frédéric Malle Lipstick Rose are the playful, coquettish roses that retain a luminous, bright quality from top to finish. On the dark and seductive spectrum of rose, Agent Provocateur is one of the best examples. Heavily foiled by patchouli, moss and spices, this rose has a dramatic and smoldering character. Frédéric Malle Une Rose is likewise striking, but the rose in it is even darker hued. It is earthy and dense, with a rich amber backdrop. All of these roses would work for men as well. A few more excellent dark and moody roses to consider: L’Artisan Parfumeur Voleur de Roses, Etat Libre d’Orange Rossy de Palma and Frédéric Malle Portrait of a Lady. If you like rose notes and enjoy dark and spicy florals, carnation is worth exploring. Perfumery carnation is a rose generously laced with jasmine-like notes, pepper and clove, but unlike rose, it tends to be dry and spicy. Modern peppery carnations can be very interesting given their fiery, sparkling top notes. By and large, carnation is considered an old-fashioned flower, and it rarely stars as the main floral note in today’s compositions. However, for an interesting carnation with a retro glamor aura, I would recommend Parfums de Nicolaï Sacrebleu (a spicy carnation set into a dark oriental accord,) Etro Dianthus and Comme de Garçons Carnation (Red Series). Hermès Bel Ami, a classical masculine, has a beautiful carnation flourish in its heart, as does the outstanding leather composition Knize Ten. On the other hand, if you prefer your rose to be as light and wispy as possible, you might enjoy peony. It is often rendered as dewy and fresh, with accents of tart fruity notes like rhubarb and pomegranate. The floral accord in Christian Dior Dune is laced with peony, as are the top notes of L’Artisan Parfumeur Dzongkha. Yves Saint Laurent Elle and Guerlain Idylle (especially the EDT) are examples of modern bright and fruity peonies that have been replacing the heavier and more opulent rose notes. Lilac has been one of the most important floral notes in classical perfumery, but today it is mostly associated with air fresheners and bathroom cleaners. Yet, it has a fantastic character combining the dewy freshness of rose with the milky richness of almonds. An interesting modern fragrance that pays a beautiful tribute to lilac is Frédéric Malle En Passant—a fresh etude of cucumber, wet lilac petals and sundried linen. Another well-made lilac is Yves Rocher Pur Désir de Lilas, an almond macaron and flower petal composition created by talented perfumer Annick Ménardo. Must-know classic: lilac was rarely used solo in classical fragrances, although it was an important note in nearly all floral bouquets. Green notes can transform a rose into a hyacinth, and its character likewise changes dramatically. Hyacinth juxtaposes the opulence of flower petals with a green, watery freshness. A cool undertone reminiscent of wet soil further tempers the floral exuberance. The cool-warm dissonance of hyacinth can be felt in Chanel Cristalle EDP, Annick Goutal Grand Amour (it beautifully blends rose and hyacinth) and the most recent version of Balmain Vent Vert. Further reading: Perfume Posse’s fun article Perfume 101 — Beginning Your Fragrance Adventure and Robin’s comprehensive New to Perfume and Want to Learn More are highly recommended. Ann C.: Thank you for doing this series, Victoria. Like Ines, I can’t wait to read future installments. Can you tell us what the categories will be? My collection has grown in a topsy turvy manner; I’m beginning to feel the need to edit it, and I certainly want to choose new additions more carefully. Isa: Thanks for this interesting and useful post! I’m looking forward to the next. Ines: Can’t wait to read what comes next. Bulldoggirl: Wonderful–can’t wait to read more! This idea of a signature scent is very intriguing to me. Such a fusty ol’ bromide, yet it still gets trotted out by fashion publications every now and then and given a new spin. I’ve never understood it. Suzanna: Wonderful start to this exciting series, V.! Looking forward to reading more while wondering why this is not expanded into a proper book. Victoria: As I mentioned to Ines, there will be more florals ( white flowers and then violet/iris.) Then orientals, leather, woods, incense, green, citrus, watery, etc. Within each category, I will have breakdowns, so it is easier to follow. Victoria: Great additions and thank you! chatchien: I am going to like this series. I was looking over my perfume collection and evidently, I am mad for orientals. I need to diversify. This series will give me a guide to doing that. As for roses, isn’t Rive Gauche a sort of astringent almost hospitally rose? And one of my favorite roses is Knowing which is as smooth and smug as a prize-winning rose in a moss covered hot house. Elizabeth: One of the things I really disliked about Perfumes: The Guide were Luca Turin’s pronouncements on what women should and should not wear. Among the thou-shalt-nots are any florals that are not “completely abstract” or tuberose. Telling women what not to do in order to be a “proper” female is old-fashioned sexism, no matter how one dresses it up. Victoria: Peony is often used as part of the nondescript florals that are so numerous today, but it can be much more interesting. Still, if one likes a light rose, it is a good choice to consider. annemariec: Exactly! I was talking about that paradox to a signature-perfume wearing (Angel) friend the other night over dinner. She looked confused, understandably. Marilie: Thank you for this informative article! I can’t wait to read about the other floral notes. OperaFan: I’m even later to the party, but it was worth backtracking to this post. Oh the ROSE! My favorite floral note (with jasmin a close second) – it’s no wonder I love Joy, and that along with Annick Goutal’s Rose Absolu made up my wedding day fragrance. The combination of turkish rose and hyacinth mixed with the galbanum in its spectacular opening notes was what drew me to Chamade in the first place, and its still a favorite today. Victoria: I love floral notes, so I have a hard time picking, yet rose is so versatile and complex that one can have a lot of fun with it. Victoria: This is such a nice thing to say! It really touched me. Thank you very much, Donna.